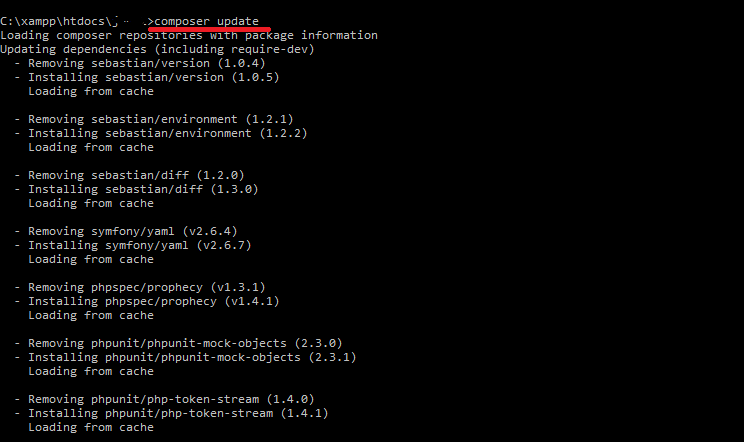 the easiest way to install this plugin is by using Composer . 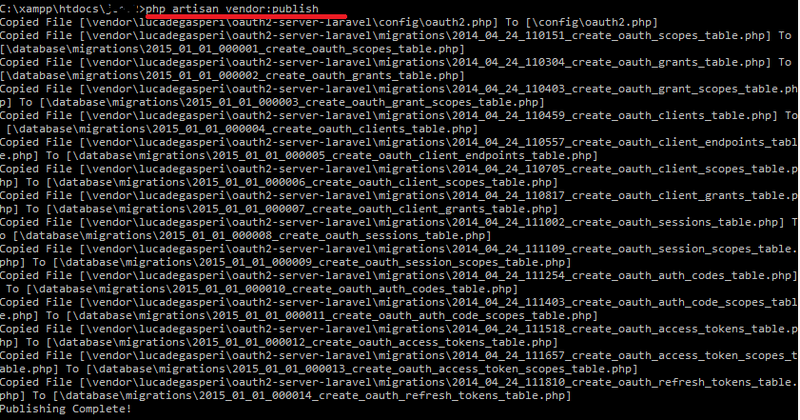 2. then Run the following command to publish this package configuration and migrations. the previous command will create all migration files that the plugin needs . in your browser go to http://localhost:8000/register ( blank page ) , check database table users you will find new record . 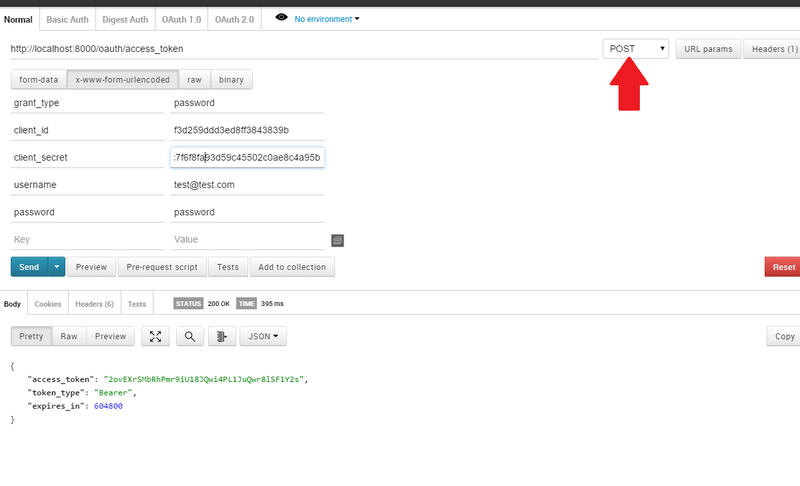 to test our server we need REST client to pass the POST request , i recommend Chrome Plugin called PostMan( link) . assume that we have a Post Controller and the user needs to send a token to get All his Posts . 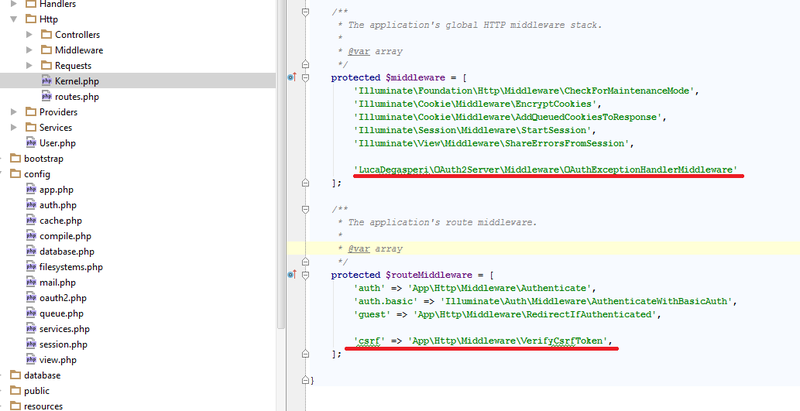 i have created route group with prefix ( ‘prefix’=>’api’ ) and protected all the routes inside it with oauth (‘before’ => ‘oauth’). notes: we have injected (Authorizer $authorizer) to the index method to retrieve the owner for the token that the user sent in the request .